Learning can be uninspiring for children when they are practising the same skills over an extended period of time, especially when using the same materials and doing things the same way. For example, practising counting objects using the same set of Lego presented on the table for over a week could trigger some avoidance or problem behaviours, simply because the learning task is too boring! 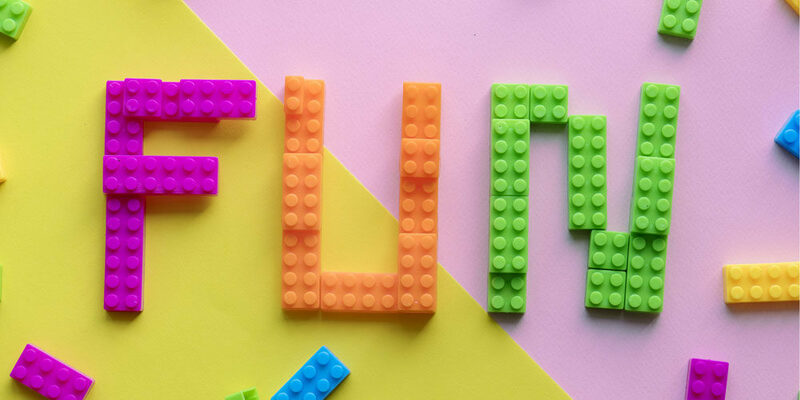 The best and most effective way to learn is through fun and engaging activities! Creativity is the key for creating a fun learning environment. Here are a few ideas to turn learning tasks into lots of fun for your child! Cut 20 triangles out of brown construction paper. Write the numbers 1 to 20 on the triangles (cones). Put the pompoms, tongs and the bowl of triangles onto a tray. Once everything is ready, you can set up the ice cream shop. Your child can be the ice cream man and you can be the customer! You can then start to make your ice cream order, “Can I have four scoops please?”. Your child will make your ice cream by finding the correct ice cream cone and choose the right number of pompoms using the tongs. Use a cutter to make 26 slits in the empty box. Write letters clearly above each slit in alphabetical order. Glue foam letters to the top of each ice lolly stick or write the letter on with a marker. Once the box and sticks are ready, you can hide the sticks around the house and set a timer for 10 minutes. Get your child to treasure hunt for the hidden ice lolly sticks. 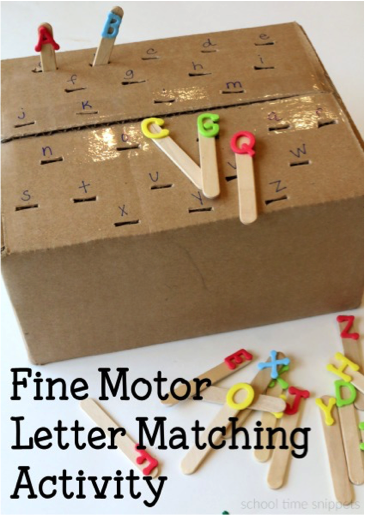 Once they find one, direct them to find the same letter on the box and push the stick into the correct slit. See if your child can beat the clock ! Cut out some paper strips. Write word ending sounds on the paper strips, for example __an, __at, __op, __ at, __et. Wrap a paper strip around the handle of each fishing net and staple it on. 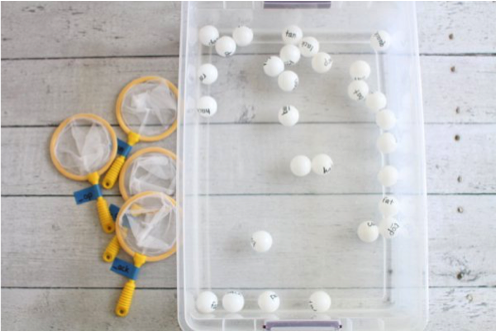 With the marker, write a word on each ping pong ball that includes one of the ending sounds on the paper strips (write the word on both sides of the ping pong ball to make it easier). Once everything is ready, you can start the fishing game by giving your child a net and ask them to fish for the ping pong balls that have the words with the same ending sounds as the net they are holding. Learning through games and fun activities can increase your children’s motivation to learn different skills. It also allows you to spend quality playtime with your children. Remember to praise your child as you play and, most of all, have fun together!